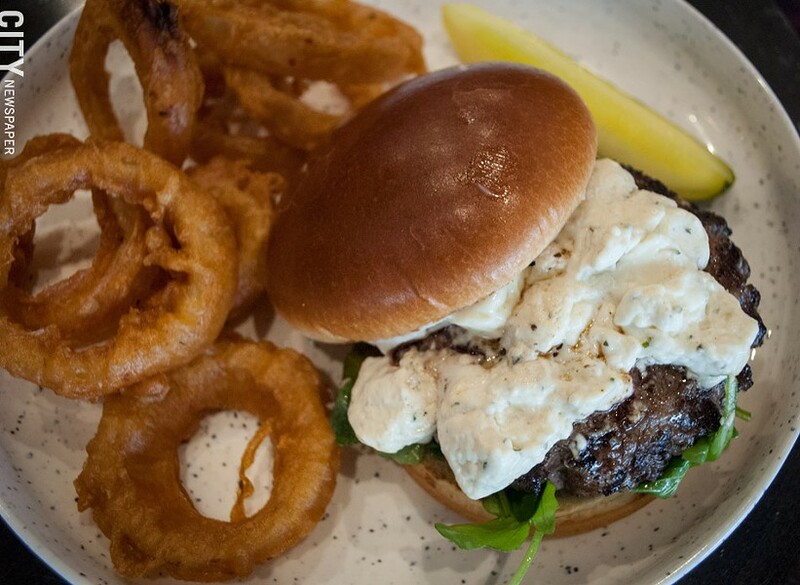 PHOTO BY JACOB WALSH Roc Burger on Main's namesake dish, which comes out with a mountain of creamy brie, fresh cracked black peppercorn, and lemon arugula on a ciabatta roll. 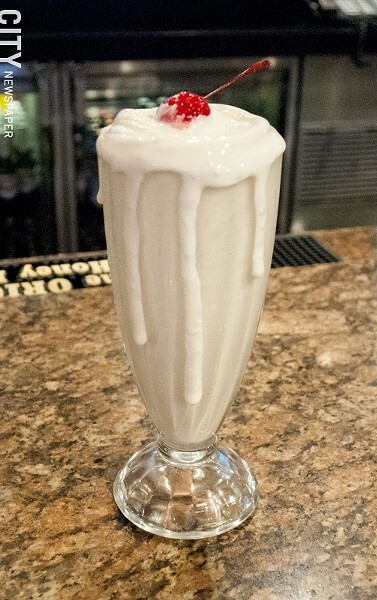 PHOTO BY JACOB WALSH Roc Burger on Main's Vanilla Milkshake. 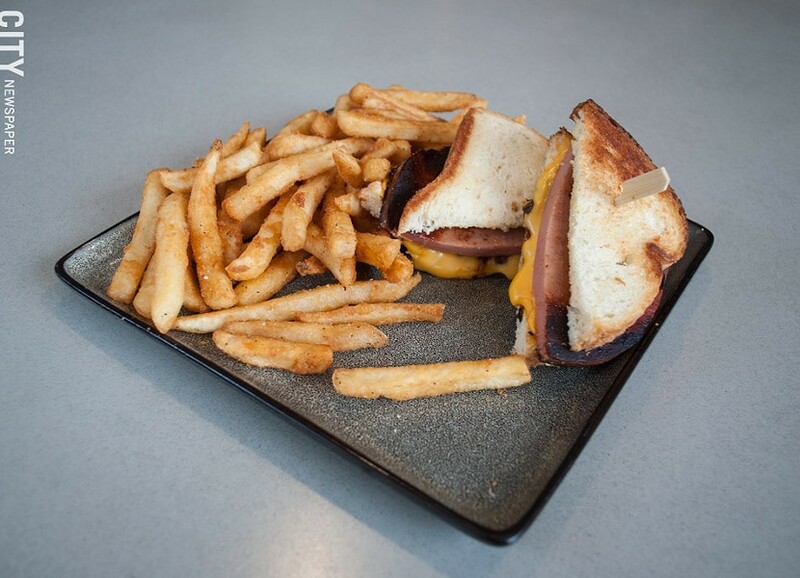 PHOTO BY JACOB WALSH The Fried Bologna Sandwich at The Street. Hotel restaurants haven't exactly been a destination for Rochester food enthusiasts. If you think about it, in general, hotel restaurants have a built-in clientele that will stumble out of bed for a stale muffin at a sad continental breakfast buffet anyway -- so where's the motivation? The Hyatt Regency and (newly named) Rochester Riverside Hotel, both on East Main Street, want to change that by catering to not only hotel guests but also to those who live in the area. Kyle Strack, the Director of Food and Beverage for Hyatt Regency Rochester, is overseeing both The Street Craft Kitchen & Bar (125 East Main Street) and Roc Burger on Main (120 East Main Street). The concept behind The Street was inspired by the Food Truck Rodeo at the Rochester Public Market, Strack says. "To me it was a great experience to go down there and see all the global flavors come in," he says. "The popularity of street food nowadays is huge. Why not incorporate that into a brick and mortar concept?" The menu at The Street is inspired by the different cultural flavors that you can find in the street food and food truck scene, and the menu also changes quarterly, just as street food is ever evolving and changing. Right now, the menu features a fried bologna sandwich ($13) topped with barbeque onions and American cheese and served on Wonder bread. "I grew up on fried bologna," Strack says. "It brings me back to my childhood." Also on the menu is a Ciopinno ($21), a classic Italian-American fish stew. 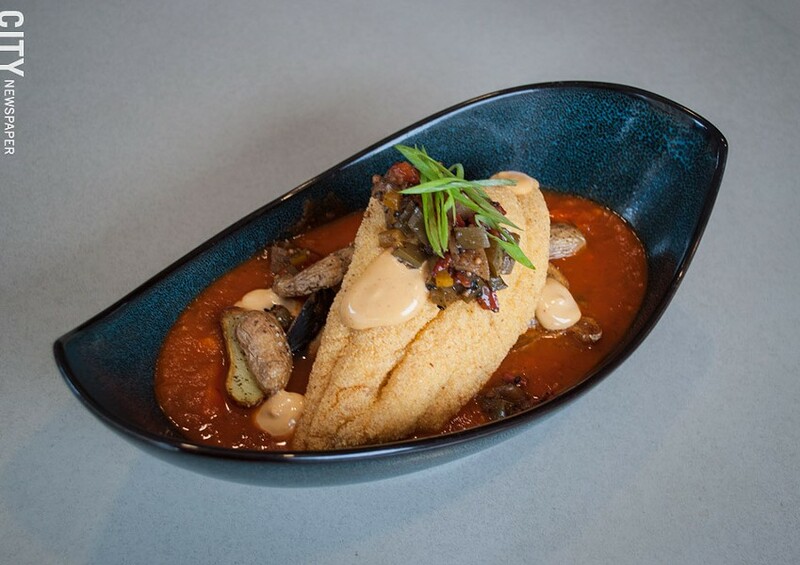 The Street puts its own take on it by topping the stew -- made up of mussels, clams, scallops, and root vegetables -- with fried catfish. Across the street is Roc Burger on Main in the Rochester Riverside Hotel, formerly the Rochester Radisson hotel. The hotel is currently undergoing rebranding and will see significant renovations happen over the next few years; Roc Burger on Main is part of that rebranding. The menu is choose-your-own-adventure-style, with a range of meats (and non-meat options) and toppings. Its house blend burger uses brisket, sirloin, and shortrib ($14) and can be topped with a myriad of cheeses and housemade sauces. Look for the Roc Burger ($15), which comes out with a mountain of creamy brie, fresh cracked black peppercorn, and lemon arugula on a ciabatta roll, and the Hot House Vegetable burger ($14), topped with smoked Gouda (you can choose whatever cheese you like) and a mountain of vegetables. Roc Burger is making its own battered onion rings and there are other menu items available in case a burger isn't your thing. And it's Rochester, so there are obviously Buffalo wings ($12) on the menu. "A lot of hotels are known for restaurants that are a bit stuffy at times -- we didn't want to do that," Strack says. "We wanted to do something that would not only attract the hotel guests but people off the street, too. We wanted to make the menu approachable." The Street Craft Kitchen & Bar is located at the Hyatt Regency Rochester (125 East Main Street) and is open daily from 6 a.m. to 11 a.m. for breakfast, and 12 p.m. to 10 p.m. for lunch and dinner. 794-4800; facebook.com/thestreetrocs. Roc Burger on Main is located at the Rochester Riverside Hotel (120 East Main Street) andis open Monday through Friday, from 11:30 a.m. to 10 p.m., and Friday and Saturday, 12 p.m. to 10 p.m. 232-9174; rocburgeronmain.com. Katboocha (97 Railroad Street) will hold its grand opening on Wednesday, April 18, 6 p.m. to 9 p.m., at the Rohrbach Beer Hall. The kombucha brewery is housed inside Rohrbach Brewing Company. Free kombucha samples will be offered and growlers and pints will be available for sale. The first 15 people through the door will get a free growler of kombucha. More info on Facebook at facebook.com/katboocha. Portland, Maine's Bissell Brothers Brewing Company will do a tap take over at Tap and Mallet (381 Gregory Street) on Saturday, April 21, from 11:30 a.m. to 10 p.m. Ten different selections from the brewery will be available, including the Swish Double IPA and Precept German-Style Pilsner. For more, look for the event through facebook.com/tapandmallet. Black Button Distilling and Rohrbach Brewing Company will host Public Market Earth Day Spring Clean on Sunday, April 22, from 11 a.m. to 1 p.m. Participants will meet at 85 Railroad Street and receive a trash bag and grabber (make sure to wear gloves) to help clean up the winter trash that has accumulated at the Public Market. And because there's almost nothing better than a cold beverage after picking up other people's garbage all day, participants will also receive complimentary drink coupons for Black Button and Rohrbach. Sign up to participate at blackbuttondistilling.com/rochester-events/. The first annual Eat Up Rochester event will take place Monday, April 23, through Sunday, April 29, at various locations in the city. Participating restaurants will offer fixed price menus ranging from $20 for brunch to $40 for dinner. No tickets are necessary, but reservations are encouraged. Participating restaurants include Roam Café, Tavern at Gibbs, Morton's Steakhouse, Bitter Honey, and more. Information can be found at eatuproc.com. Biaggi's Ristorante Italiano (818 Eastview Mall) has closed. And Stout (2001 East Main Street) has closed but will re-open under new ownership.